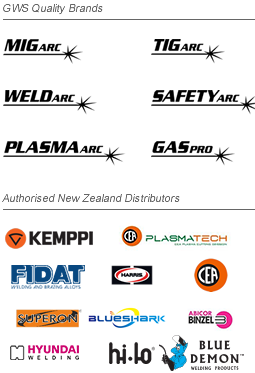 Global Welding Supplies is fast becoming a New Zealand leader in supplying state-of-the-art welding machinery and consumables to the New Zealand engineering industry and to the Pacific Islands abroad. We're making waves in the New Zealand Engineering Community. As a featured industry news article, visit our Global News section to see what the New Zealand Engineering News has to say about how we're taking New Zealand and the South Pacific Region by storm. At GWS we offer outstanding service, quality & price. This means you can trust us to deliver nothing but the best to you, no matter the size of your shop or company. We've also created our own brands of quality welding products to support our commitment to excellence; MIGarc, TIGarc, WELDarc, SAFETYarc, PLASMAarc and GASpro ensure world-class performance you know you can trust. GWS works with suppliers from around the globe, to deliver the best range of welding gear the world has to offer. GWS is a full Kemppi, Hypertherm, CEA, Harris, Mosa & Superon products supplier in New Zealand. In addition, we also stock an array of welding machines, consumables & safety gear in many additional brands. In fact, we're constantly updating our range with the latest and greatest products the world has to offer. In 2013, we launched our in-house Welder Repair Centre offering servicing and repairs to all welder makes and models.Situated at our Auckland location 13 Patiki Road, Avondale. Response to this new service within the New Zealand welding community has been well received and we continue to service and repair all makes and models. Click here for more information or to book servicing through GWS. Service and welder repair is just another reason to make GWS your one-stop shop. Our sales staff have years of experience in the welding and engineering industry. Let our knowledge match the right product to suit your specific needs. With our comprehensive range of welding consumables and accessories, we'll help to ensure that your shop is supplied with the proper products to get the job done. Our business hours are 8:00am to 5pm Monday through Friday. You'll find our office & warehouse at 13 Patiki Rd Avondale, West Auckland. Click here for contact information or to locate our Auckland warehouse, showroom and repair centre. Too busy to drop in? No problem, just contact us and we'll be happy to come visit you.